The site health report shows all the pages with issues and the number of each type of issue. 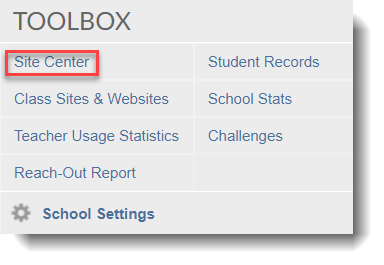 Log in to your School Loop account, then click Site Center under the Toolbox menu. To access the site health reports for your site, head for the Site Center, click the Tools tab (1) and then click on the blue View Report button (2). The report shows all the pages with issues and the number of each type of issue. 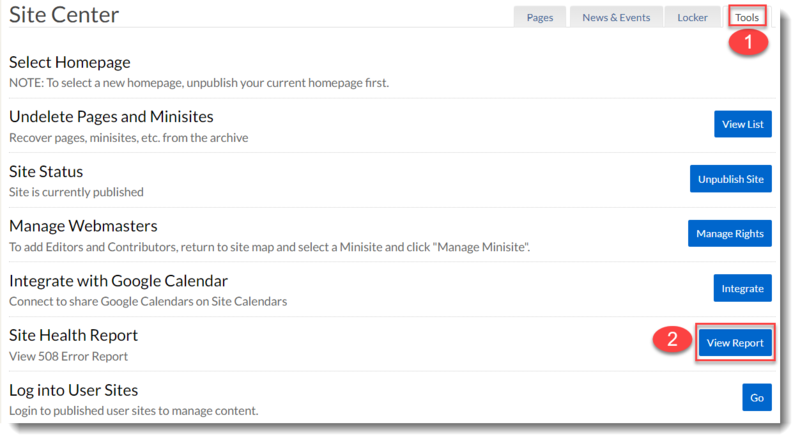 The sitemap in the Site Center also indicates which pages have issues. When editing a page with issues, you will find those errors flagged on the Module with the error(s). 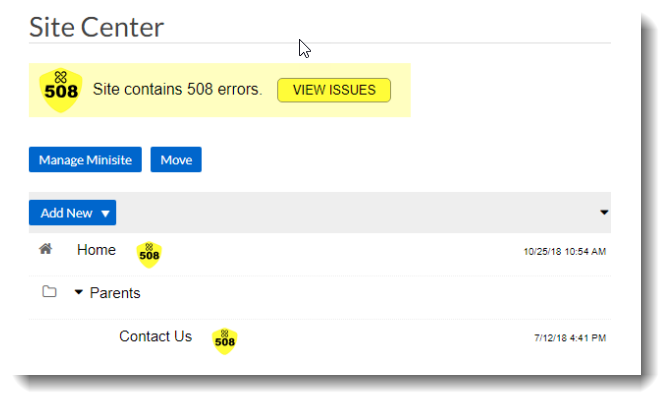 Click the question mark icon in the flagged error and view the Webmaster Guide to 508 Errors.